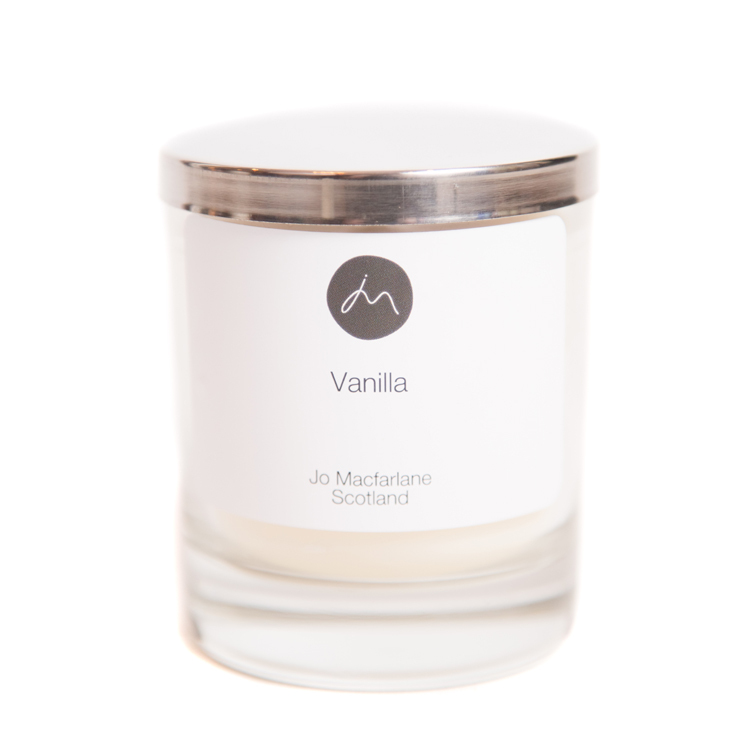 Nourish your senses with these magnificent Jo Macfarlane Signature Scent, hand poured, Soy Wax Candles. PEONY: A lush, floral blend with hints of citrus. The heart of peony is warmed with spicy dianthus and accented with fresh green foliage for an innocent bouquet. 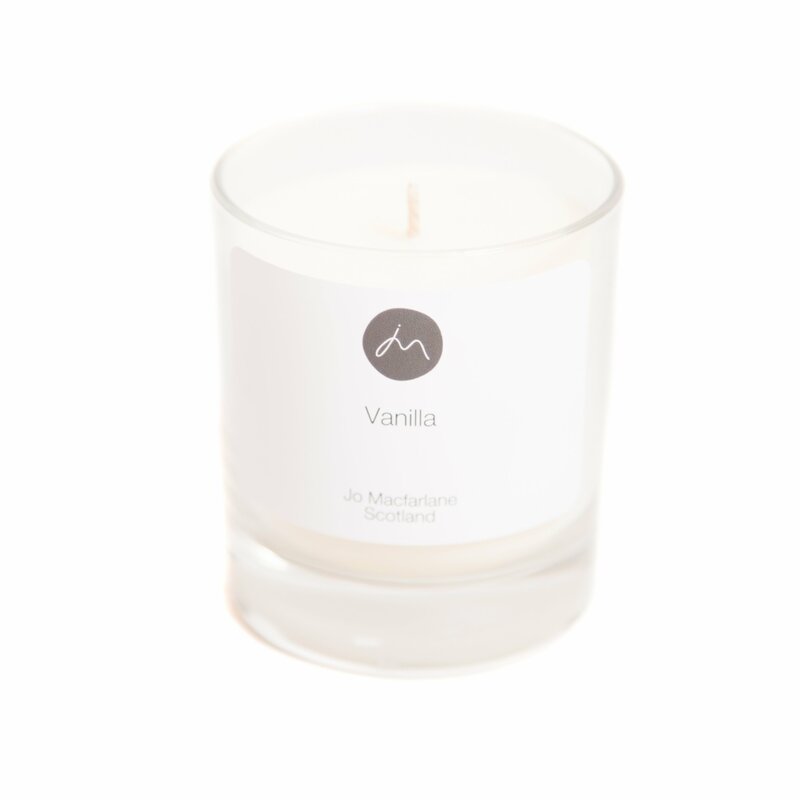 VANILLA: A very warm and rich, buttery vanilla fragrance with a slight touch of cream. 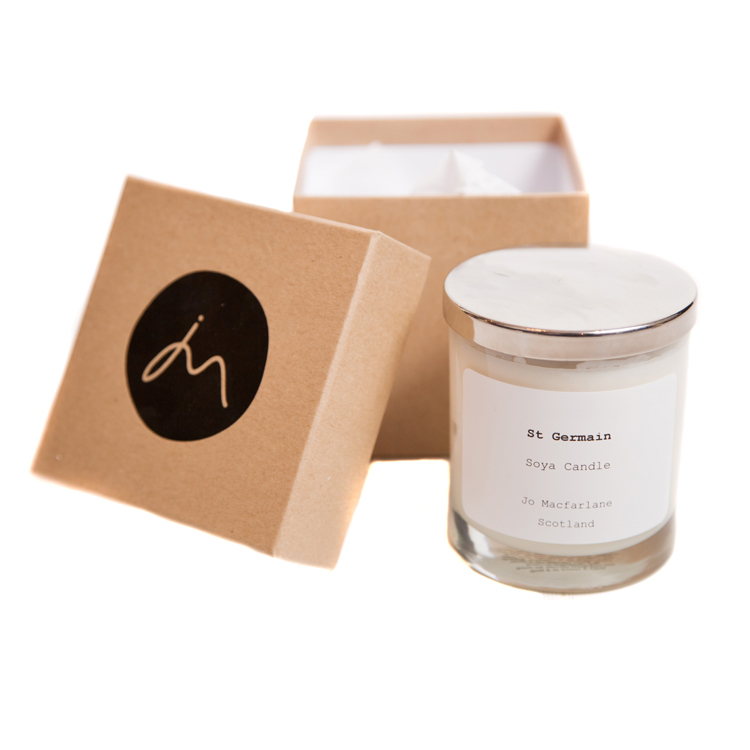 ST. GERMAIN: A slightly masculine scent incorporating Bergamot, Orange, Lavender, with a strong blend of Jasmine, Black Pepper, Cedarwood and Amber Musk.